Ron Howard directs an all-star cast in this exciting action-thriller that shows you the mystery, drama and devastation of fire as you've never seen it before! Kurt Russell and William Baldwin star as two feuding siblings carrying on a heroic family tradition as Chicago firefighters. But when a puzzling series of arson attacks is reported, they are forced to set aside their differences to solve the… mystery surrounding these explosive crimes. 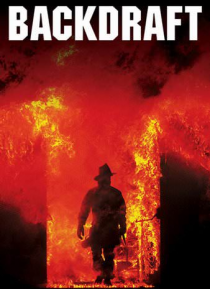 Scott Glenn, Jennifer Jason Leigh, Rebecca DeMornay, Donald Sutherland and Robert DeNiro also star in this acclaimed suspense story filled with some of the most awe-inspiring fire sequences ever filmed.